I had forgotten all about these cars. 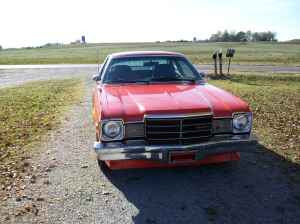 There were very few great (or even very good) American cars available in the late 1970s and 1980s. Maybe as a way of reminding people that they once built some very entertaining cars, the US car makers put some great old names on less than great cars. Pontiac put the GTO badge on a Ventura, a Chevy Nova with a Pontiac grill. AMC put the AMX badge on a Spirit. Ford built Thunderbirds based on Fairmont underpinnings. Chrysler put the Roadrunner name on a Volare. The original Roadrunner came out during the height of the muscle-car wars. Speed was everything. It was scary fast. This Roadrunner has little in common with the original Roadrunner, other than the name. 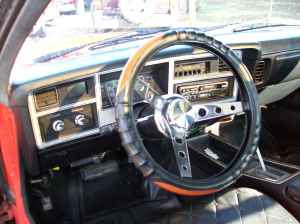 The Volare Roadrunner was available from 1976 - 1980. For the most part, it was an appearance package. By late 1970s standards, it was an OK performer. The standard engine was a 318ci V8. Optional was a 360 V8, but it was only available with an automatic transmission. Both engines are incredibly durable, but by the late 70s they weren't incredibly powerful. This car looks to be in very nice condition. It has the 360 in it. 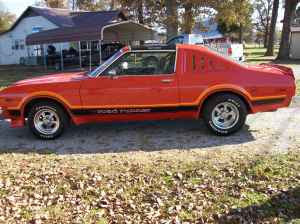 It also has t-tops, which were all the rage in the 70s and 80s. The car was purchased new by the seller's father in 1977. He doesn't mention how many miles are on it. I guess if Chrysler had called this car the Volare GT or something / anything other than Roadrunner, I'd be a bit more excited about it. But the name Roadrunner meant something special in the late 1960s and early 1970s. This car, while kind of cool in a late seventies way, just isn't special enough to be called a Roadrunner. The Volare Roadrunner is an interesting piece of Chrysler history, even if it's not a great car. For that reason alone, it might be worth owning if you're a Mopar fan. 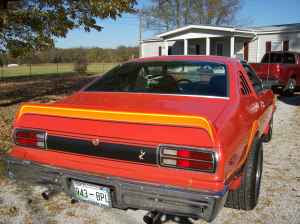 Located in Decherd, TN, click here to see the Craigslist ad. I had one of these for my first car. Rusted quarters, with a 318 column shift automatic, but I loved this car. Maybe one day I'll find another just to play with. I wish I would've grown up in the 60/70s to have a real Roadrunner, but still had a ton of fun in it. My first car too. Used one bought in high school - 360 auto. Chrysler forgot to put in the interior fenders and replaced the quarters for free on all of these. I loved this car and had major big fun in it. I look for used ones all the time...dreaming of buying one. Must be my mid-life crisis. For right price...I will buy one.